Includes a new cap, uses stock petcock. Does NOT use stock cover. 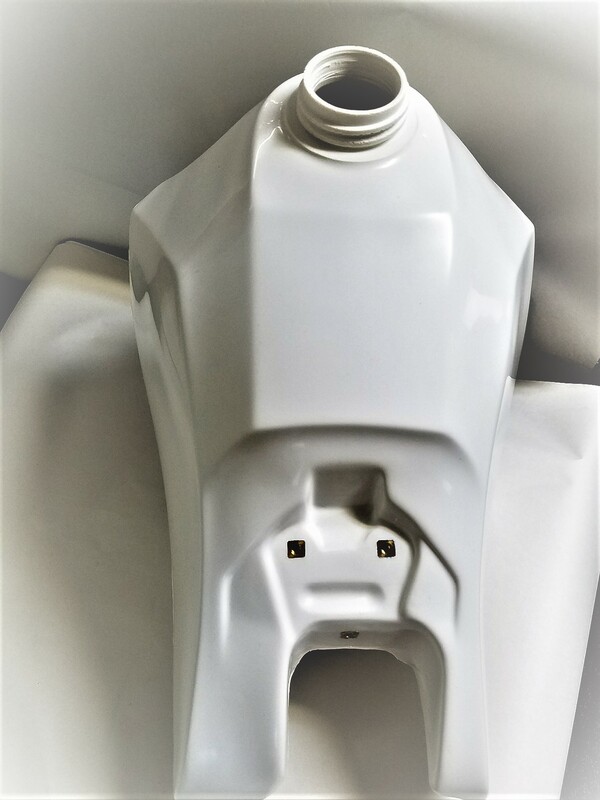 No cutting required to fit this tank. Call before ordering if you have any questions. 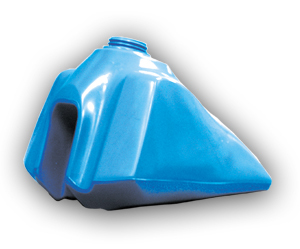 Does not fit a Clarke style petcock. Uses stock mounts and petcock. Cap furnished. Does not fit with a Clarke style petcock. Not compatible with a Clarke style petcock. Includes a new cap. Uses stock petcock. Will not work with a Clarke style petcock. Comes with a new Clarke cap. Will include a new cap and uses stock petcock and mounts. 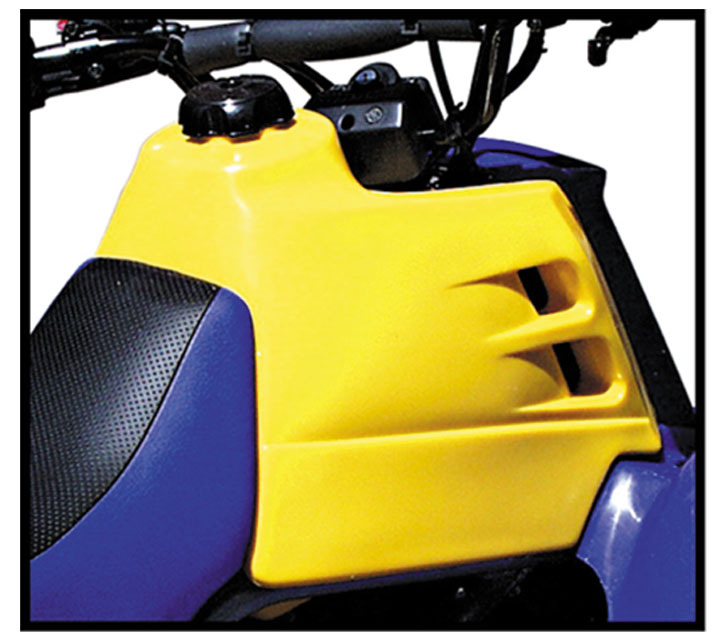 Please specify if you are ordering for a TT/XT 500. 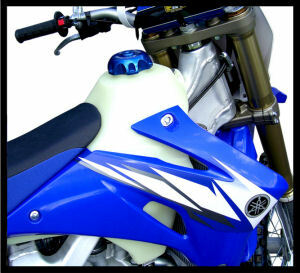 Fits YZ 250/400 (78-79) IT 250/400 (78-80) XT/TT 500 (76-81) Universal (pre 83) 3.5gal. Please specify Make/Model and Year in the order notes. 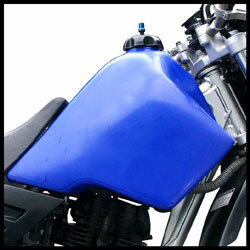 Tank made with cosmetic imperfections which does not interfere with how the gas tank functions or capacity. Will include a new cap. Uses stock mounts and petcock. 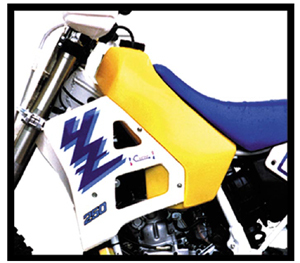 Please specify if you are ordering for a TT/XT 500. 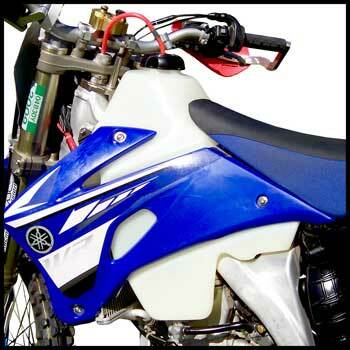 Fits YZ 250/400 (78-79) IT 250/400 (78-80) XT/TT 500 (76-81) Universal (pre 83) 3.5gal. 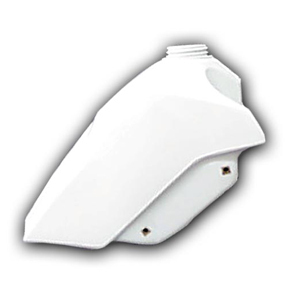 Tank produced with a blemish to the rear left, small black spot. 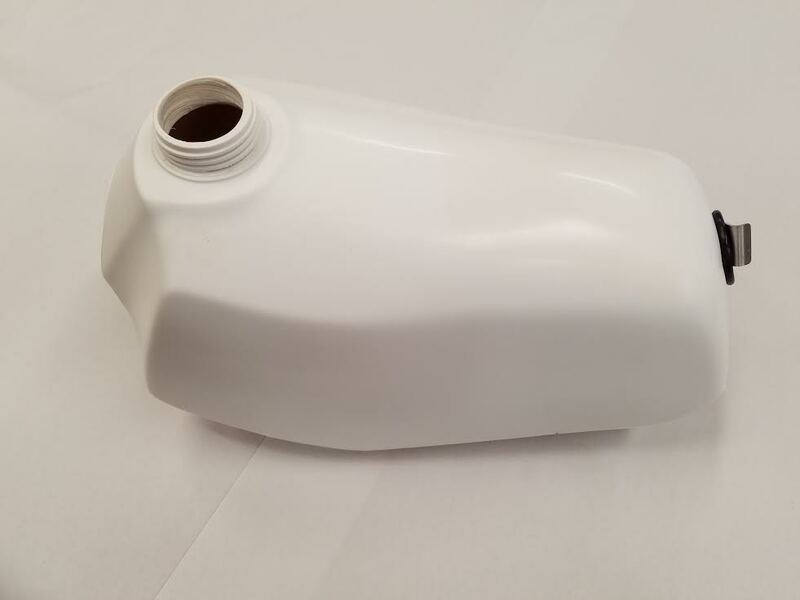 The issue is not going to affect how this tank performs or the capacity. For additional information or concerns, please call before ordering. 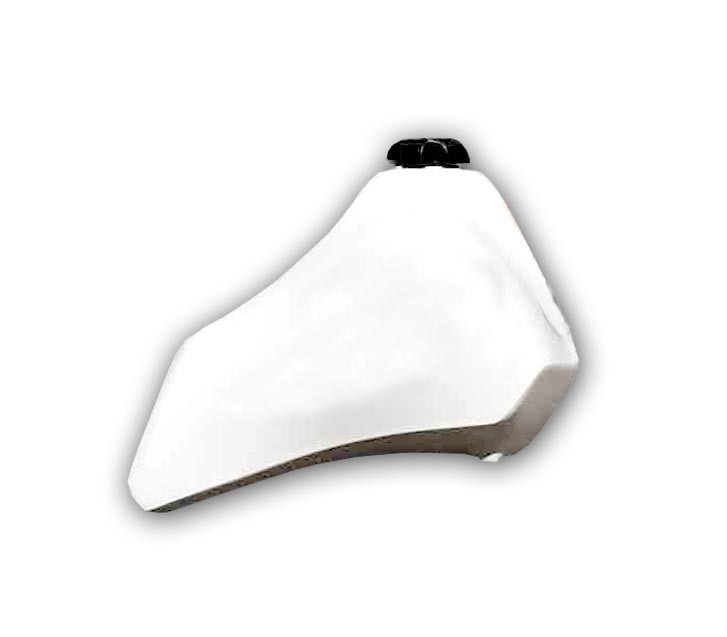 Will include a new cap and uses the stock petcock. 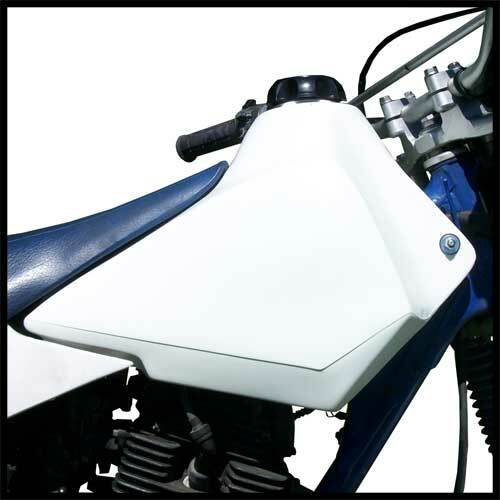 Please specify if you are ordering for a TT/XT 500. 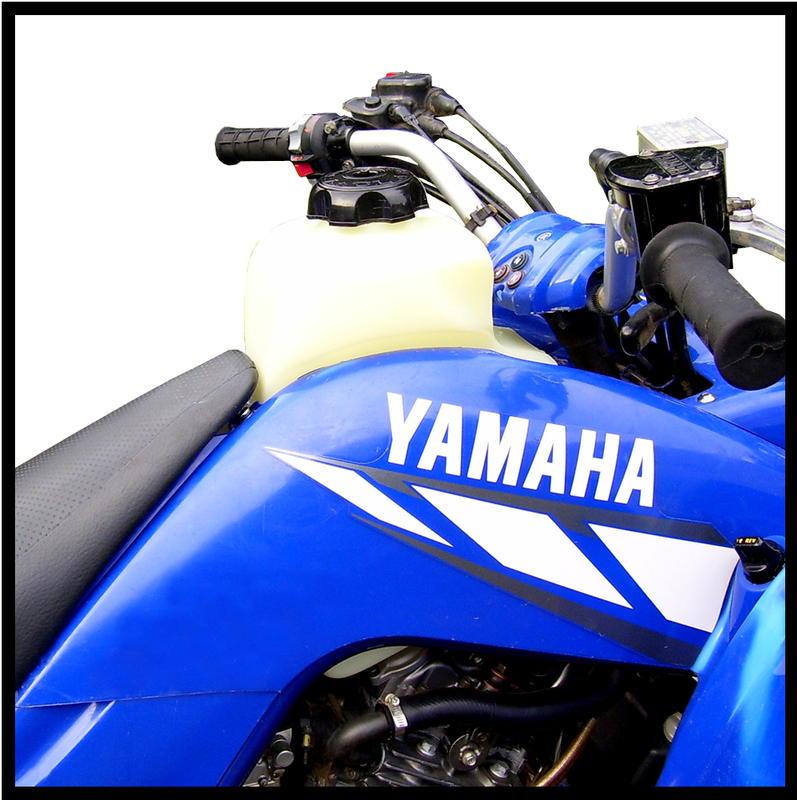 Fits YZ 250/400 (78-79) IT 250/400 (78-80) XT/TT 500 (76-81) Universal (pre 83) 3.5gal. Not compatible with a Clarke style petcock. 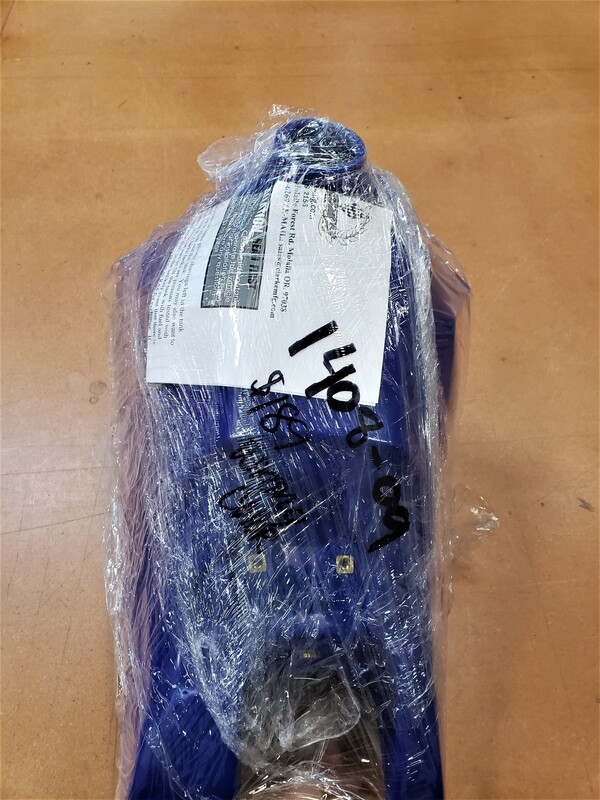 TT 500 will use the aftermarket petcock KL-18-4170. 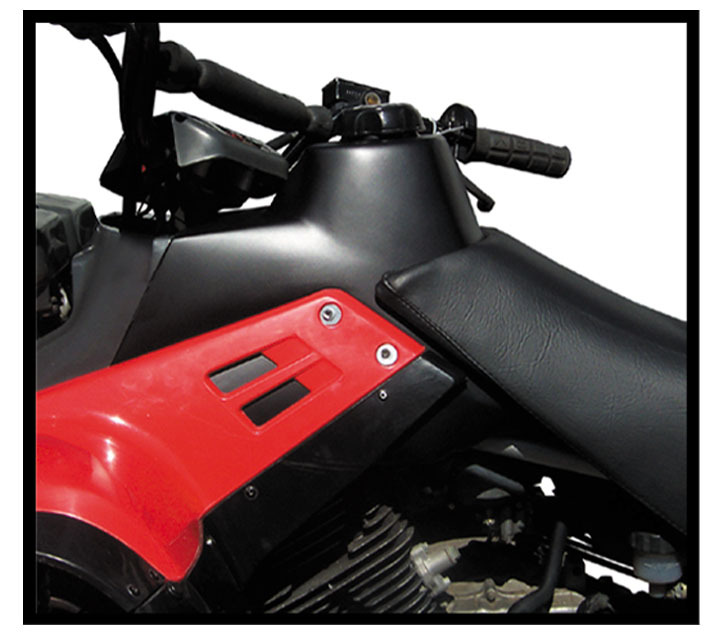 XT 500 will use aftermarket KL-18-4171. 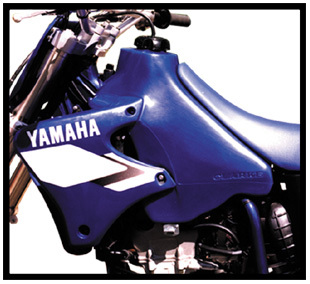 The YZ 250-465 is applicable with a Clarke style with groove petcock. 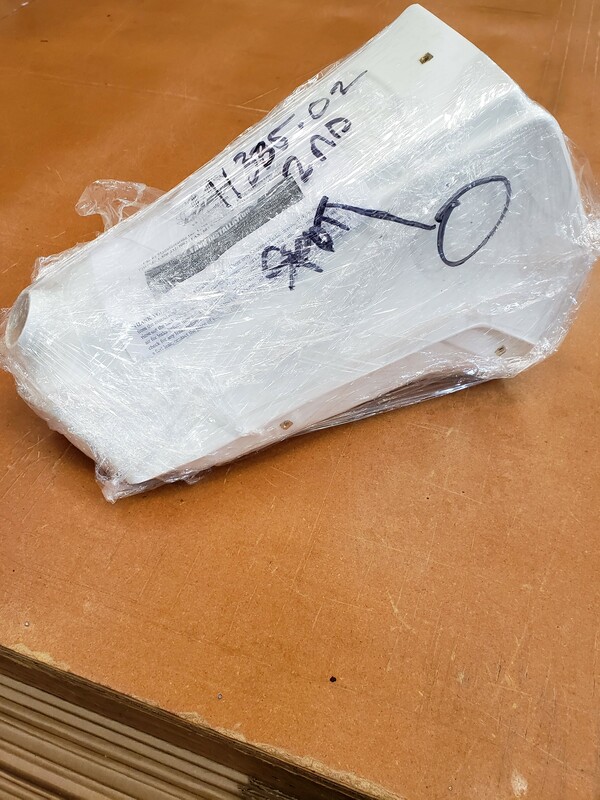 IT 250-465 does not fit a Clarke style petcock. Discounting due to cosmetic imperfections. 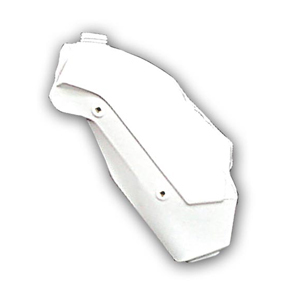 Minor blemishes and right front has slight indentation caused during the mold rotation. 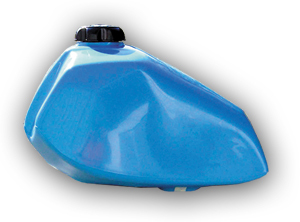 3 tanks with cosmetic issues which do not interfere with the gas tanks function or capacity. Click on specific tank under the choose an option to view specific details. 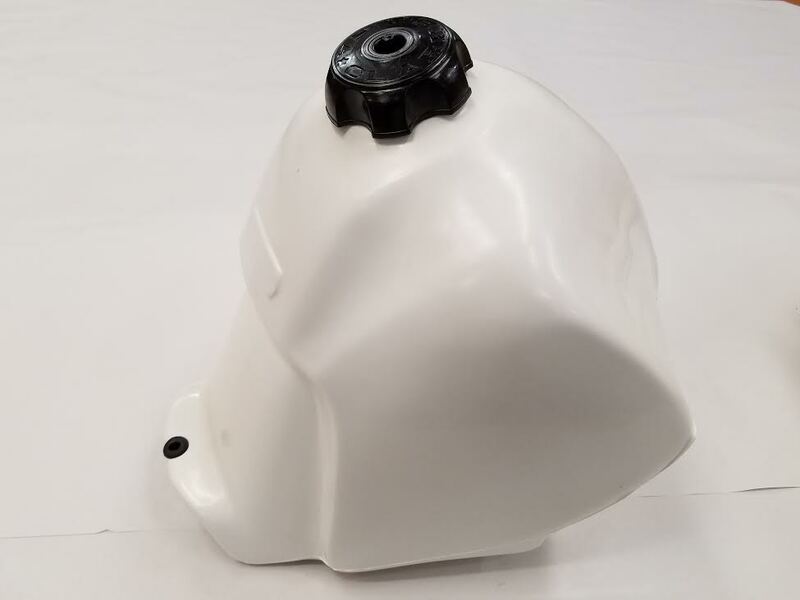 Tank includes new gas cap and uses stock mounts and petcock. 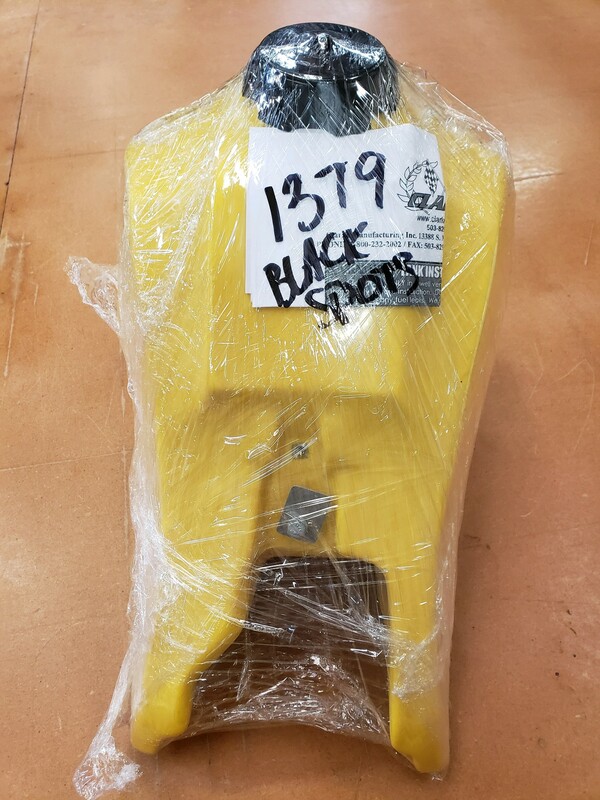 Black spots embedded in plastic. 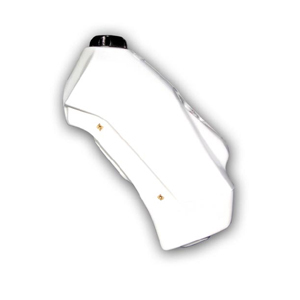 The issue is cosmetic only will not interfere with the gas tanks function. Tanks drilled for petcock on both sides. Second petcock not included. 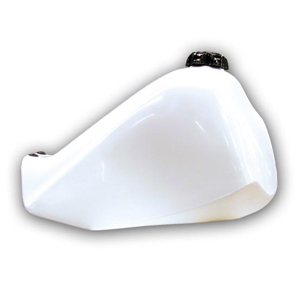 *Indicates will fit WRF400, WRF426 and WRF250 when used with a YZ-F Shrouds, Seat or Both. SEE BELOW OR SDG SECTION. Will not fit Clarke petcock. Uses stock petcock, shrouds, mounts, and cap. 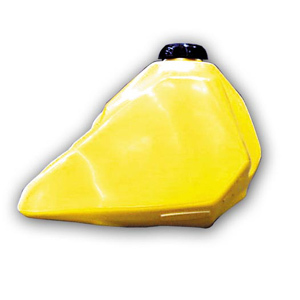 Does not fit with a Clarke style petcock. Uses stock cap and petcock. Tank made with a big dent on the left hand side. 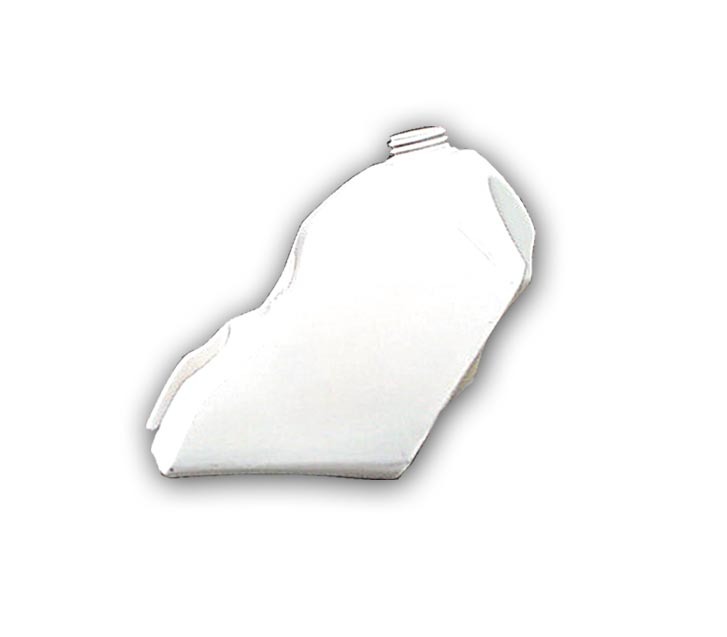 The dent will not affect the function or capacity of the tank. Uses stock petcock, cap, mounts, and shrouds. 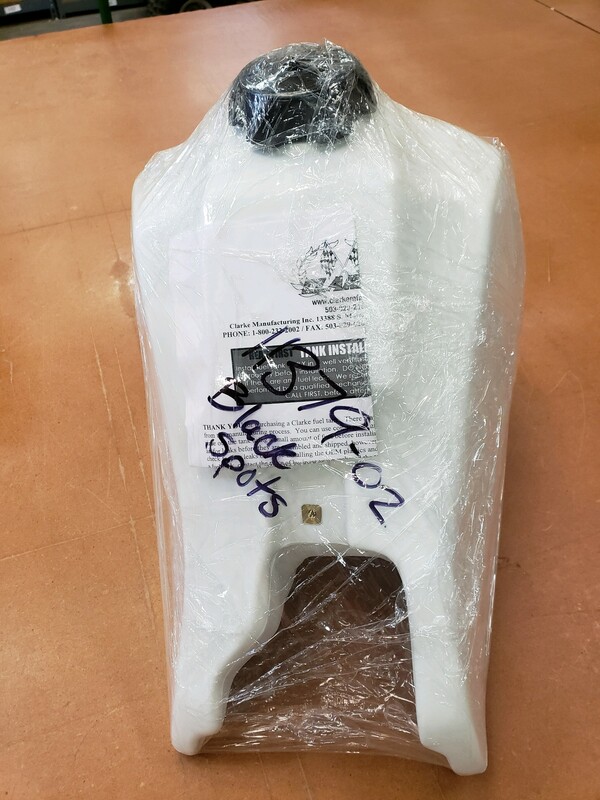 Discounted tanks due to cosmetic imperfections. Please click on each tank option for additional information. Will include a new cap and all other hardware needed for mounting. 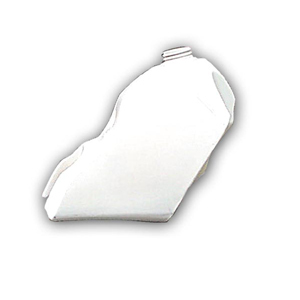 Must use Clarke petcock #1377NS-02, Please order one in the “Accessories” section BEFORE proceeding to checkout. 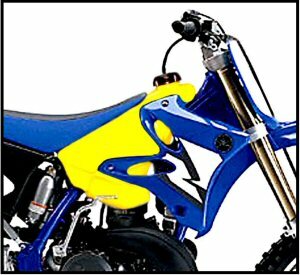 Please specify if you are ordering for a TT/XT 500. 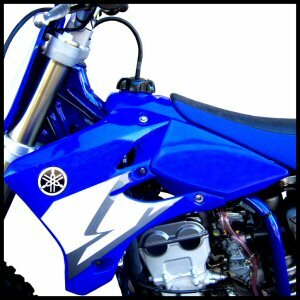 Fits YZ 250/400 (78-79) IT 250/400 (78-80) XT/TT 500 (76-81) Universal (pre 83) 3.5gal. Uses stock petcock. 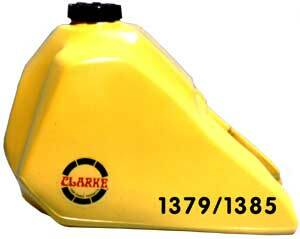 Comes with Clarke gas cap #1378-03. 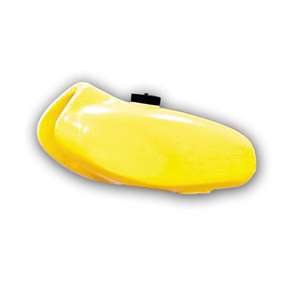 Also compatible with Clarke petcock #1377NS-02. 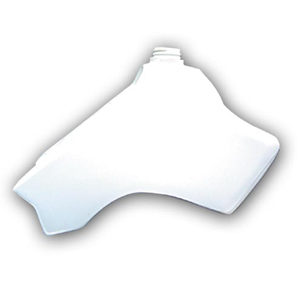 Uses all stock hardware including the OEM cap. Does not fit a Clarke petcock. 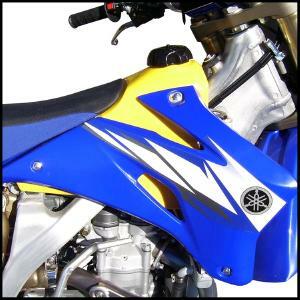 *Indicates will fit WRF400 WRF426 and WRF250 when used with a YZ-F Shrouds, Seat or Both. 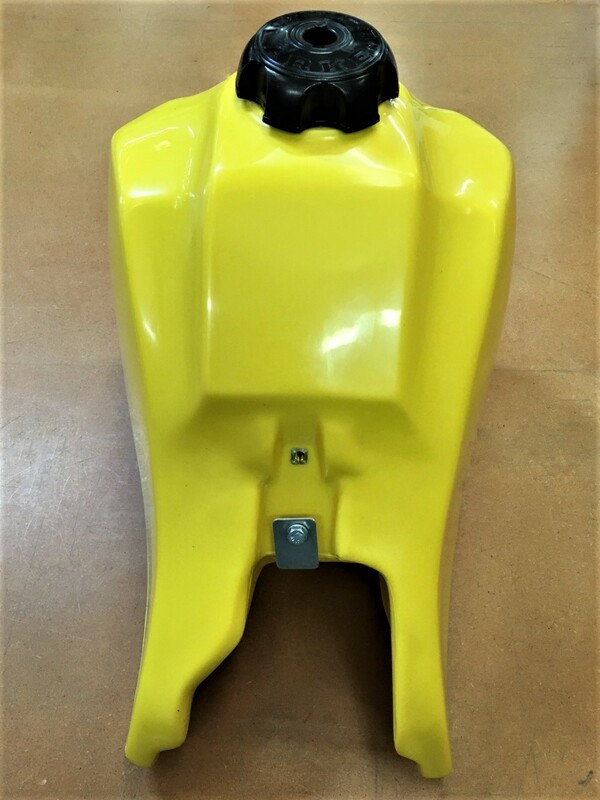 For this tank to be properly installed it will require that the front fender assembly be altered to accommodate the size of the tank. Trimming of the fender is irreversible. 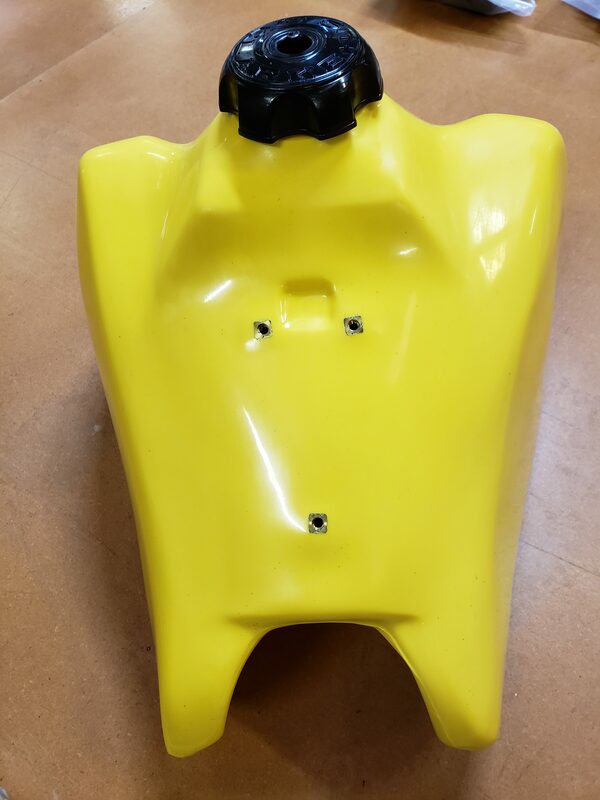 It is recommended that if you are having difficulty understanding the following procedure that you call for assistance before attempting to install the tank. See Instruction sheet below. 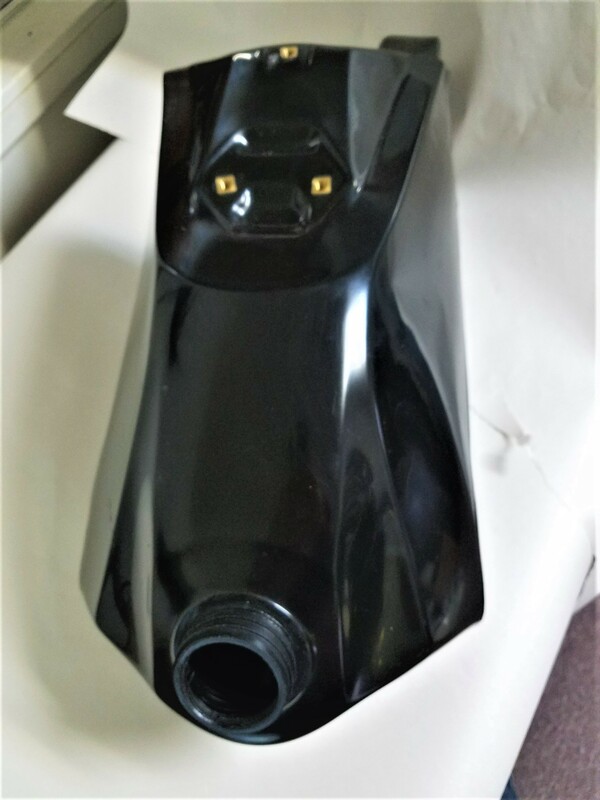 The tank was made with slight imperfections during productions. 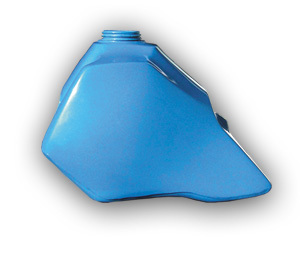 The issues are cosmetic and does not effect the function or capacity of the tank. Please call before ordering if you have any additional questions or concerns before ordering. 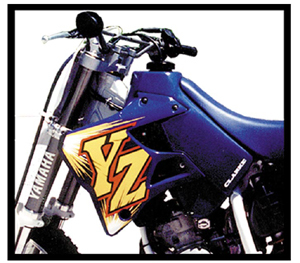 *Specify year when ordering for any YZ 80. Uses stock gas cap, mounts and petcock. New cap included and uses the stock petcock, shrouds and mounting hardware. 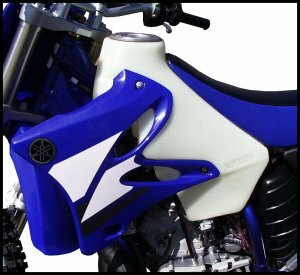 NOTE On 2005-2014 Aluminum framed models: The Yamaha factory padding under the tank is too hard and tall to allow this tank to properly sit down enough to mount. 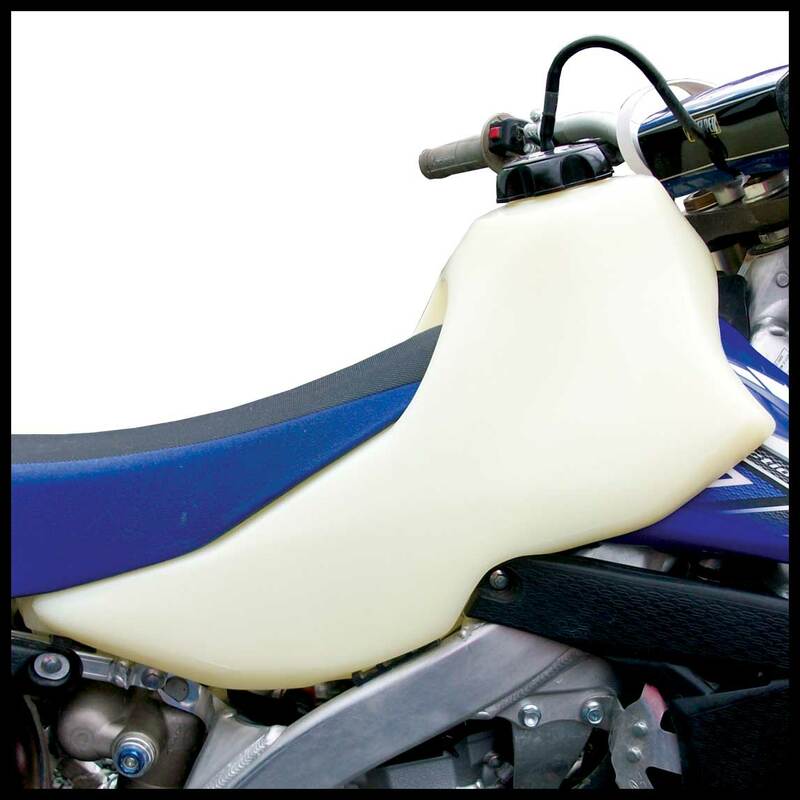 You can either trim the ribs from the padding to provide clearance or remove them completely and use Clarke tank padding ( available in the accessories section of the shopping cart ) or pad the frame yourself using locally sourced product. Includes new cap. Uses stock petcock, mounts and hardware. 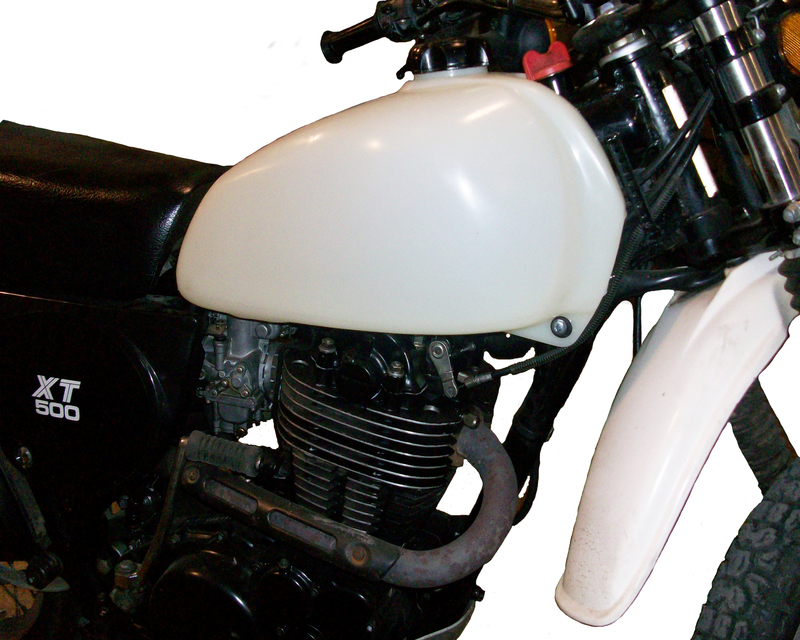 Shown with dry break installed. 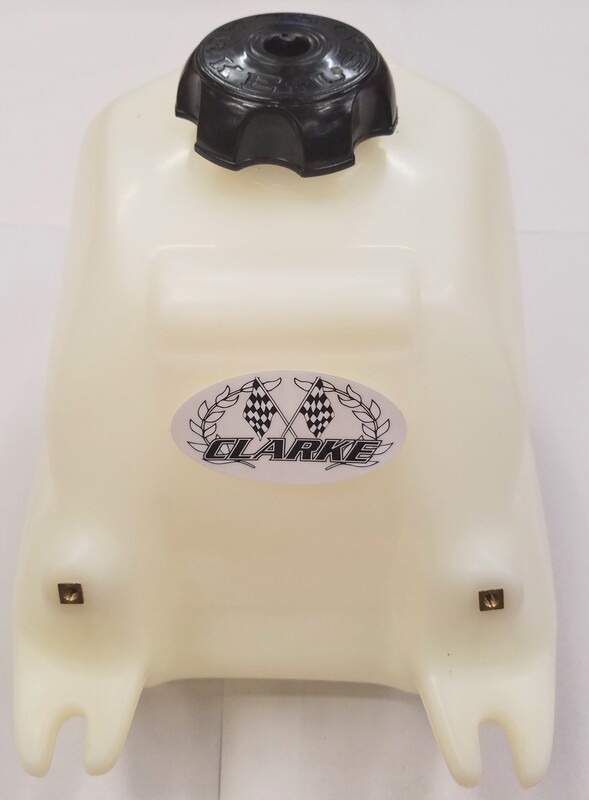 Tank will come with new Clarke cap only. Will not work with any Clarke style petcock. 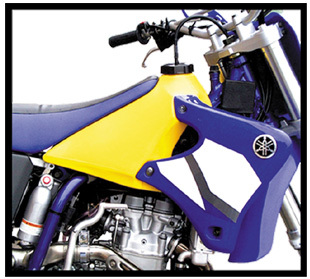 See Notes Below (product description) for 2005-2014 Aluminum framed models. 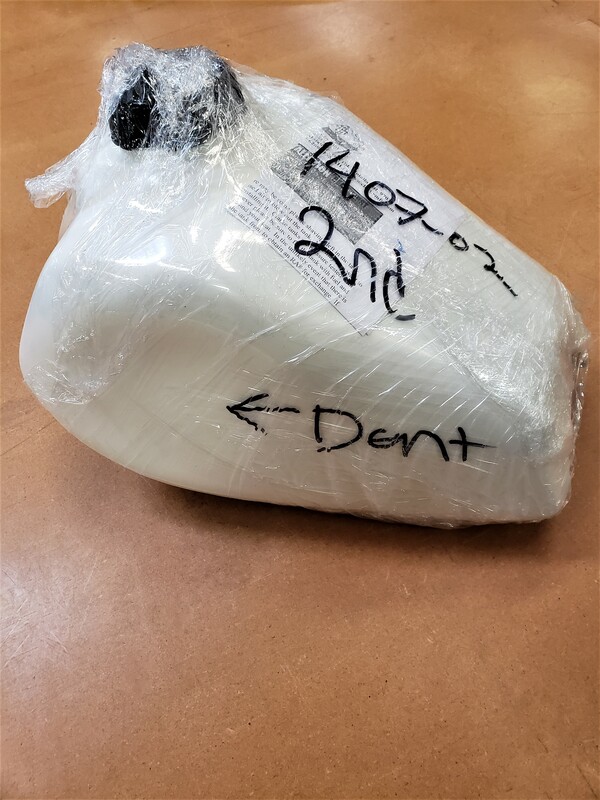 Selling due to cosmetic imperfections. Pictures included. 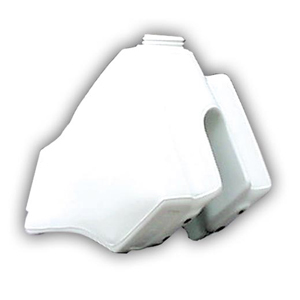 The gas tanks function and capacity are not compromised. Includes a new cap. Uses stock petcock, does not fit a Clarke style petcock. Includes a new cap and uses the stock mounts, and petcock. 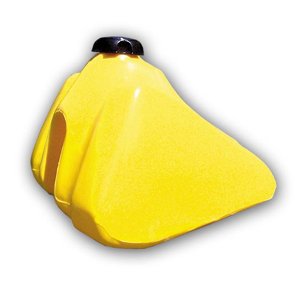 Does not fit with a Clarke style petcock. 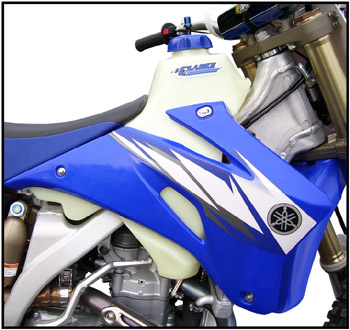 -2005-2006 WRF250/450 With no shroud change. 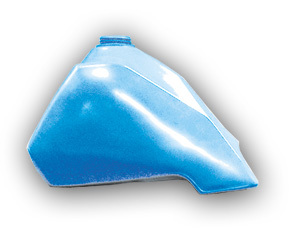 Does NOT uses stock tank cover. NO cutting required to fit this tank. CALL before ordering if you have questions. Will not work with a Houser steering stem. 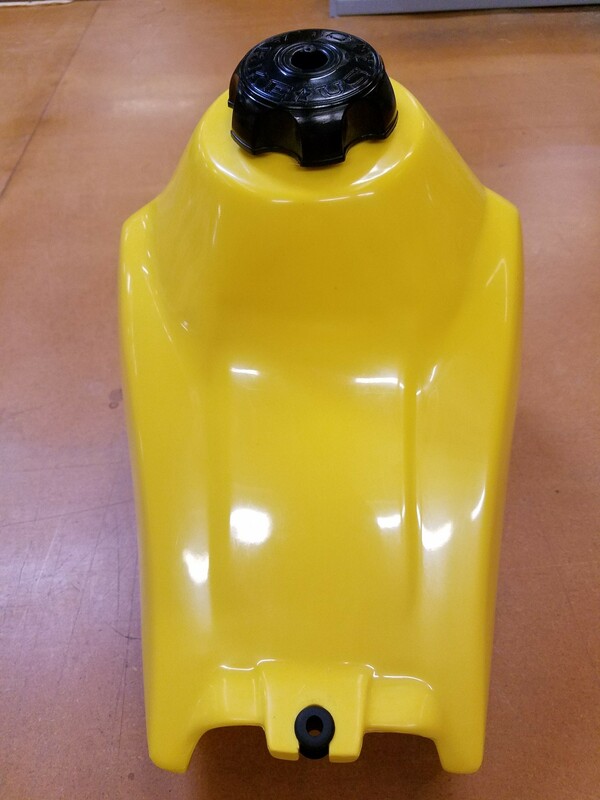 Does NOT use stock tank cover. NO cutting required to fit this tank. 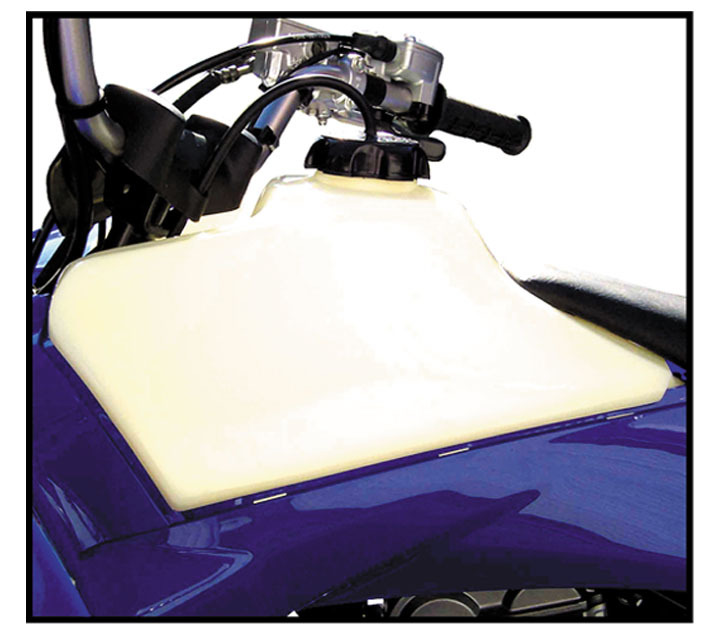 Includes a new cap and uses stock petcock, mounts, seats and shrouds. 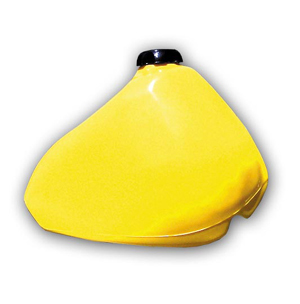 Does not fit a Clarke Petcock. 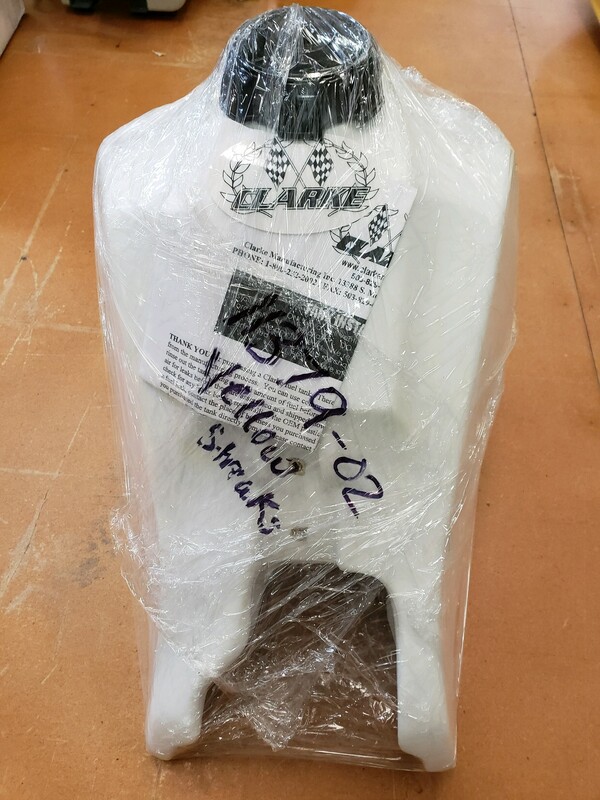 Does NOT use stock tank covers. 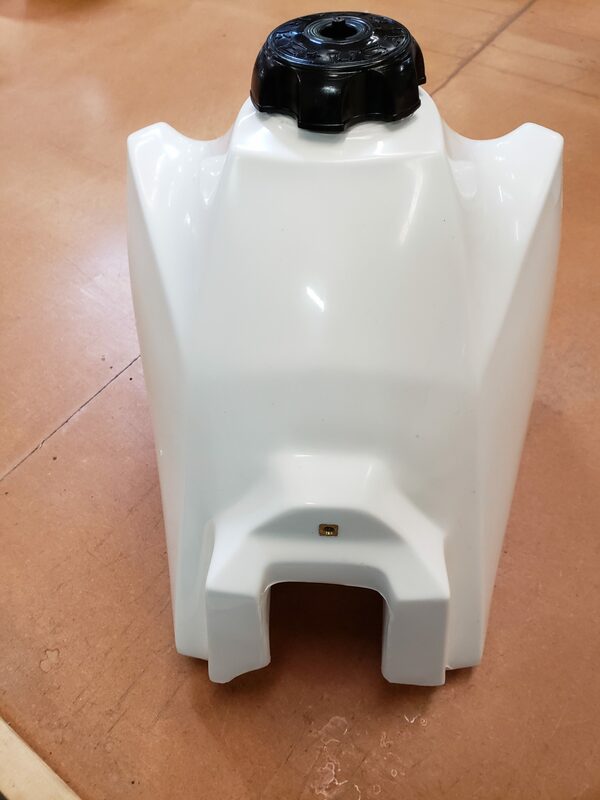 Plastic will NOT have to be cut for tank to mount. 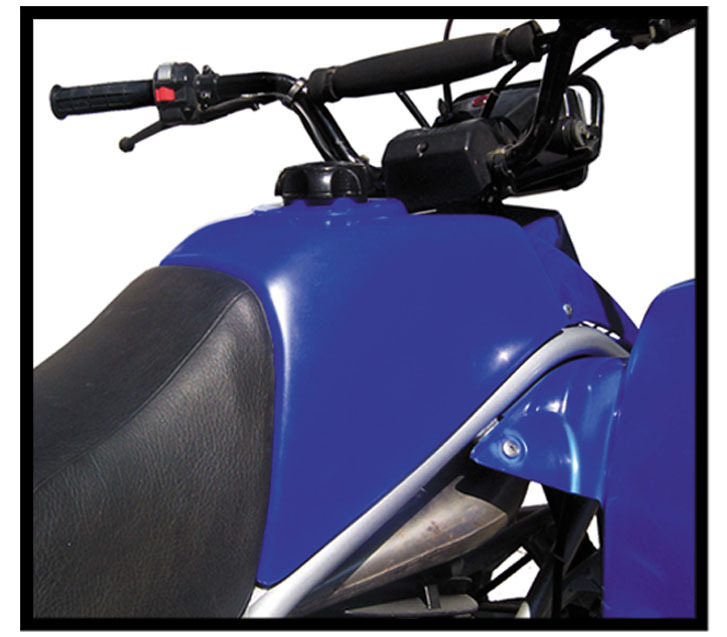 Uses stock seat, shrouds and petcock. 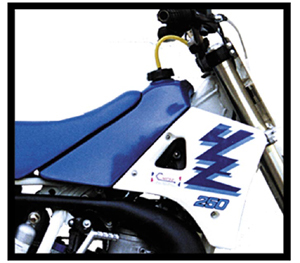 Uses stock petcock, shrouds and all hardware. Does not fit a Clarke petcock. 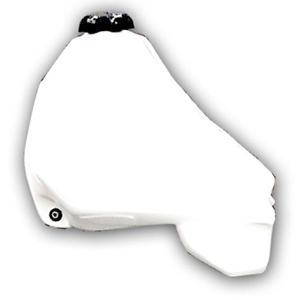 TRY IT WITH AN ALL NEW LOW PROFILE CLARKE MX CAP! Includes a new cap and uses the stock petcock. 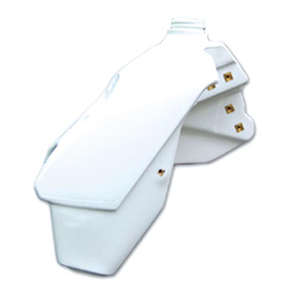 Has provision for dual fuel outlets. 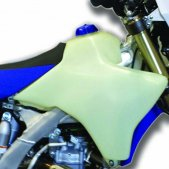 Specifically made to fit WRF 250/450 (2007-2011).. No seat or shroud change required. Will include a new cap and uses the stock petcock. 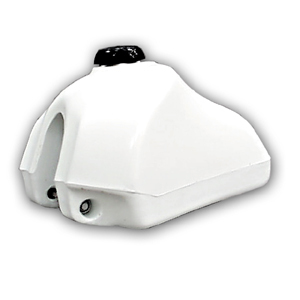 Will include a new cap as well as all other hardware needed for mounting. Uses stock petcock. 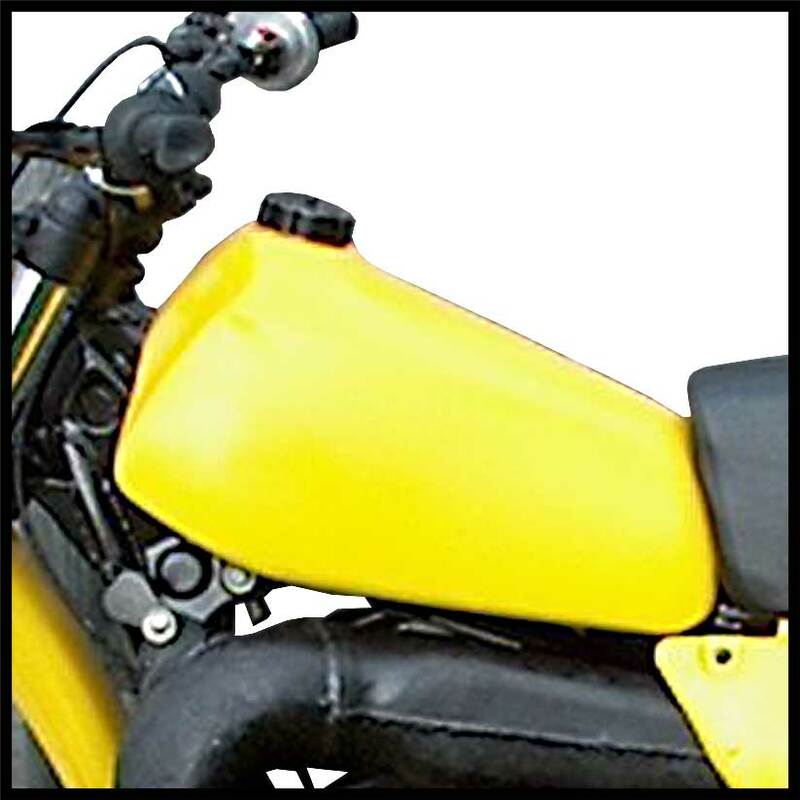 Please specify if you are ordering for a TT/XT 500. 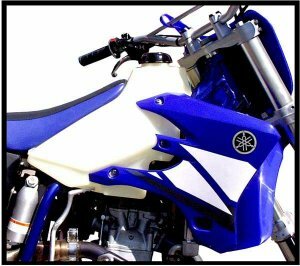 Fits YZ 250/400 (78-79) IT 250/400 (78-80) XT/TT 500 (76-81) Universal (pre 83) 3.5gal. 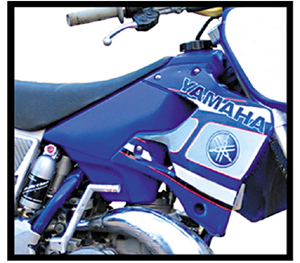 Fits Yamaha YZ125 (1977-1978) Uses stock gas cap and petcock. Uses all stock hardware and includes a new cap. Will include a new cap and petcock (Clarke style with groove) as well as all other hardware needed for mounting. 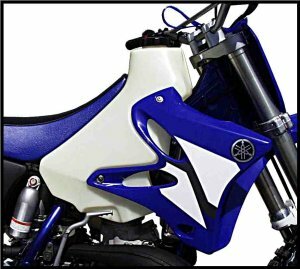 Please specify if you are ordering for a TT/XT 500. 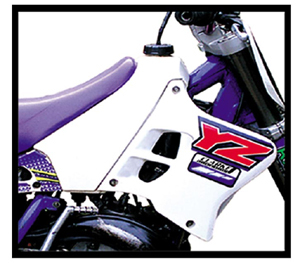 Fits YZ 250/400 (78-79) IT 250/400 (78-80) XT/TT 500 (76-81) Universal (pre 83) 3.5gal.